Car rental business is one form of business that is now rife run many people. The high demand from the market is the background to why this business is always in demand. Especially now the condition of public vehicles are still far from the word worthy. From here then this car rental business opportunity will be more bright and real. But to make this business a success then you who will or are running this business need to know some tips or a great strategy to start this business. 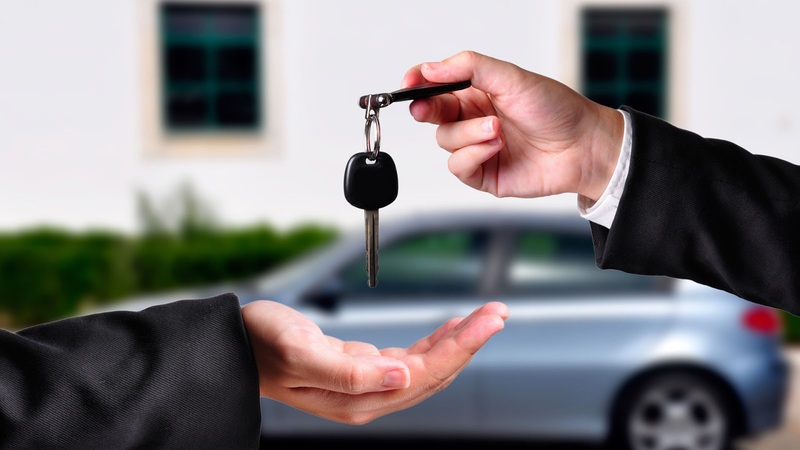 So what are the strategies to make this car rental business a success? Here's the review. The first strategy you need to do before starting a car rental business is to recognize prospects and targets. The point here is you must know the prospect of a car rental business in your location. Whether the people there will really need a car or not. If indeed you believe that will be many people who need a car that means your business in the location spelled out good prospects. But if you do not find that there will be many people in the neighborhood who need a car, then this is certainly a bad prospect that you should leave behind. To know this prospect yourself you will inevitably have to do surveys and observations. If it is known that the prospects in your location are large, then set the target market of your business. Determine whether an office person, a common person, or a migrant will be your target market. Why set a target market? This will refer to the determination of the starategi marketing that will run. But if you want to set a target market on all sides of course may be the origin of the level of competition in the location is not too tight. Once you set a target market, the next strategy to make your car rental business successful is to choose a good business location. Good business location for car rental business is a strategic location with access road and crowded by many people. With such location conditions, the opportunity to introduce your business and also get more customers will be wide open. Opening this opportunity is caused by direct marketing coverage that works directly and automatically. To make your business successful of course one way is to be professional. Well the attitude of your professionalism in business can be reflected one of the ways you invest. You must be careful in this case, because if you are arbitrary then it could be your business will fall. This right and professional investment can be run in several ways such as choosing the right car and attracted lots of customers, creating links with business partners to rent cars and utilizing insurance for the protection of your car and business. Offline marketing is a conventional marketing technique that requires you to meet or meet face-to-face with potential customers. Some offline marketing strategies that you can run for car rental business include word of mouth or direct notification, brochures, banners or banners, business cards, stickers, brochures, newspaper ads, magazine ads and more. In addition to offline marketing strategy is currently very possible a pebinis also run online marketing strategy. A fast-growing online world is an indicator that should make people responsive to this. some online marketing strategies that you can run on social media promotion (Facebook, Twitter, Path and Instagram), promotion through online advertising such as Google ads, Facebook ads, Twitter ads, or by maximizing the website through SEO optimization (Search Engine Optimization). To get a lot of trust and also many investors then you should be able to expand the network and relationships. The more networks and relationships you have, the greater the opportunity to get partners who can be invited to work together to develop the business. If this happens then of course your business will move faster to success. Also remember to join some communities and car rental business associations that are in your area. Join and play an active role there. Some of the activities and agendas that are often held by these communities and associations are workshops, discussions and also the delivery of materials in social media. With this will certainly get a lot of knowledge and important info-info that will be useful for the progress of your car rental business. In an all-round era with the irresponsible actions of a number of individuals, then in running this car rental business you need to be extra vigilant. In fact in the field there have been many cases of runaway rental cars are rented by people who are not responsible. This criminal act is done with many tactics, such as one by submitting false documents to the owner of the rental. Of course with their false documents these individuals will be free to commit crimes by bringing the car. From here, the high vigilance should always be applied especially when the rental process takes place. Pay close attention to the documents he gave you. In this case you are required to have the knowledge and understanding to be able to distinguish the original documents and false as a condition and provision to rent a car without a driver. If you are able to anticipate the crime or crime fraud is a big loss you can minimize. Lastly, a successful strategy to start a car rental business is to set prices on the market or by giving a discount. Price has always been something that is sensitive for consumers, especially the people of Indonesia. Remember you also have competitors to conquer. So to be able to attract many consumers, then you should not arbitrarily determine the price. More than that you have to do research and survey about the market price of car rental that is valid in your place. Do not force yourself to make the price too expensive, because it could be you will lose consumers. Some business experts even suggest that car rental business entrepreneurs to occasionally provide promotional prices and discounts. This is done to attract consumers to choose your rental car than any other car rental. You also create other interesting offers according to your creativity. This other attractive offer can be a lottery, use of a lucrative member card or also the use of a discount coupon when you have used a car rental several times.